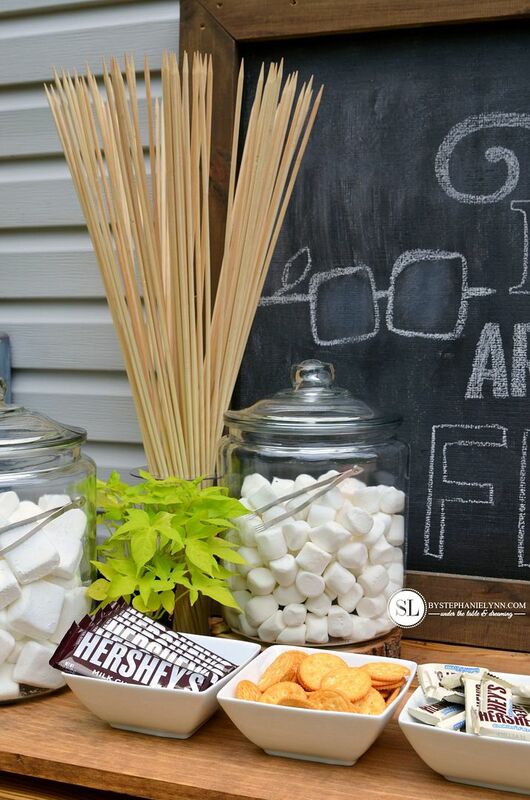 S’mores Bar Party – build-your-own s’mores party table set up #LetsMakeSmores | This shop is #sponsored by #CollectiveBias and its advertiser. The story and opinions read here are entirely my own ~ Let’s Make S’mores Tonight! 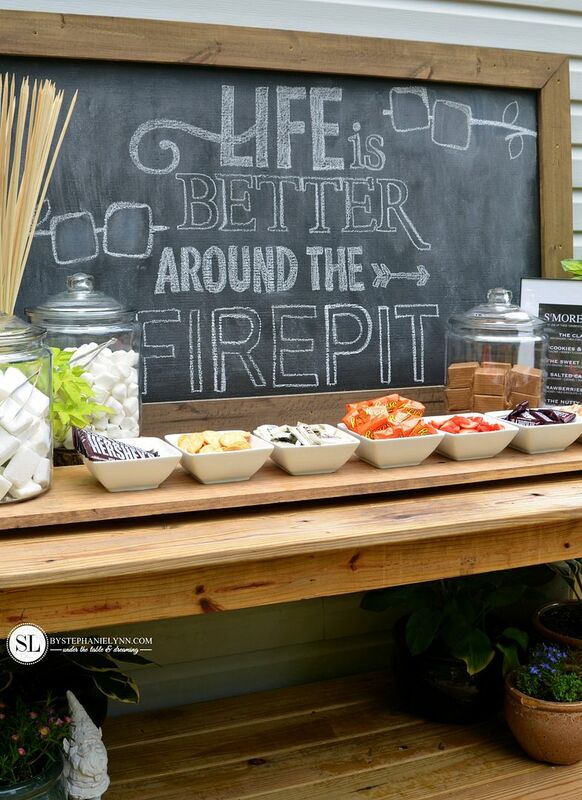 The perfect ending to any event we host here at the house usually involves a gathering around the fire pit. It’s an entertaining tradition that never gets old, especially during the summer months. Once the fire gets going there is no denying the ultimate companion to the crackling flames and moonlit skies is a good old fashioned s’mores. 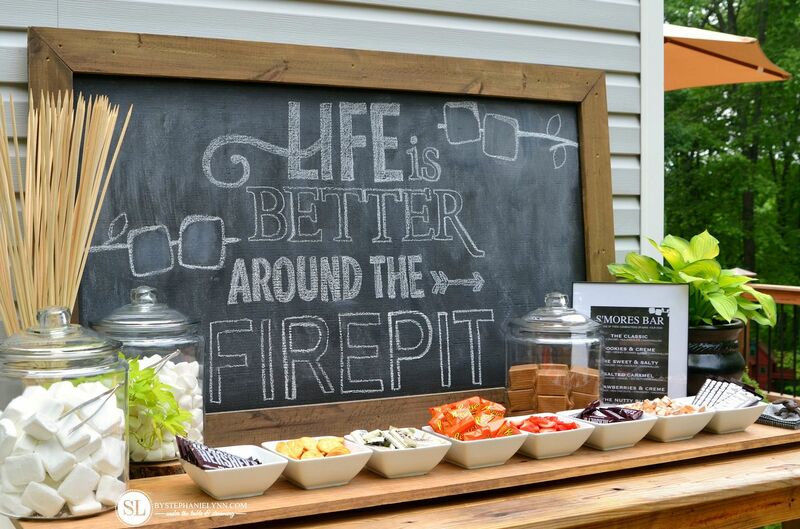 No matter what the occasion or party menu may be, there always seems to be room for S’mores at the end of the night. 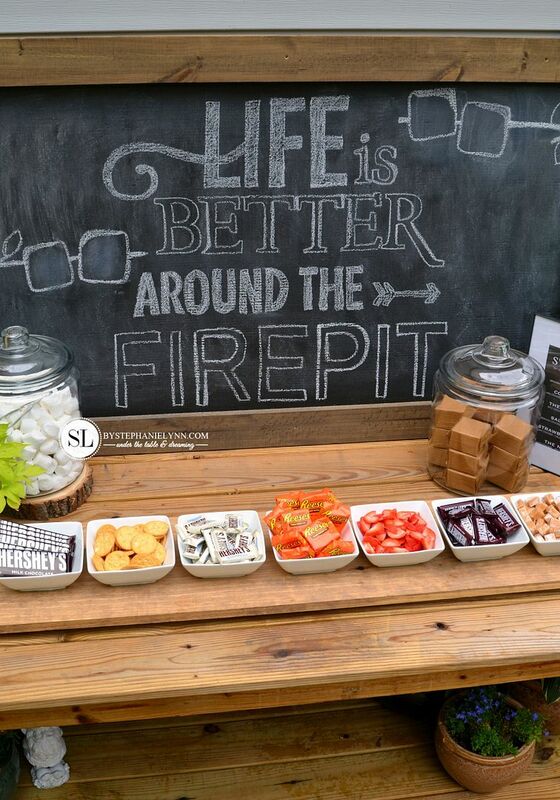 I’m a big fan of self serve party tables and when it comes to s’mores it’s no different. 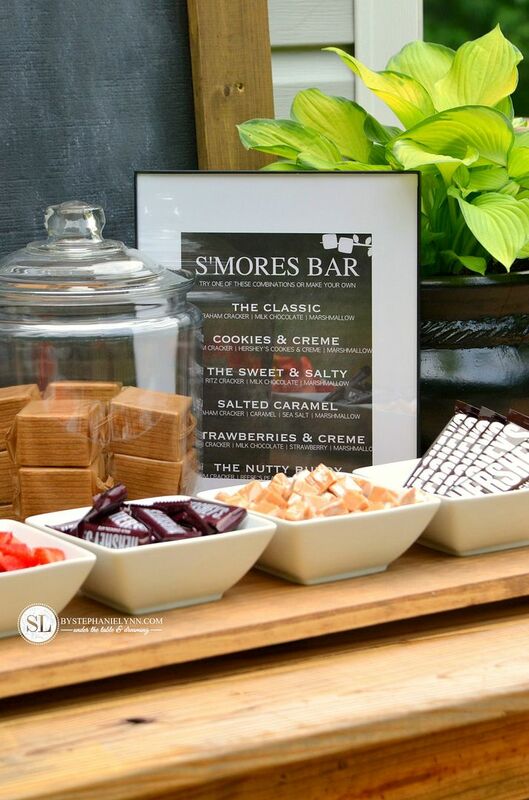 Offering an array of different toppings gives guests a chance to get creative and build their own custom concoctions. 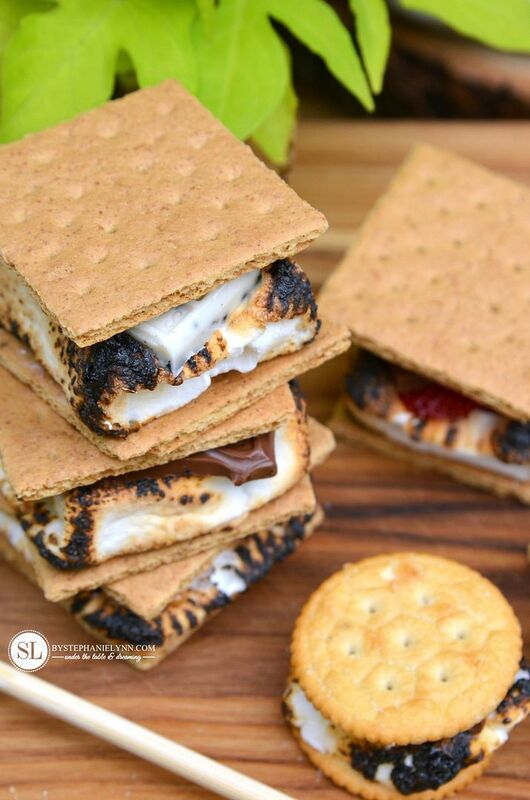 There is no wrong way to make a s’mores! 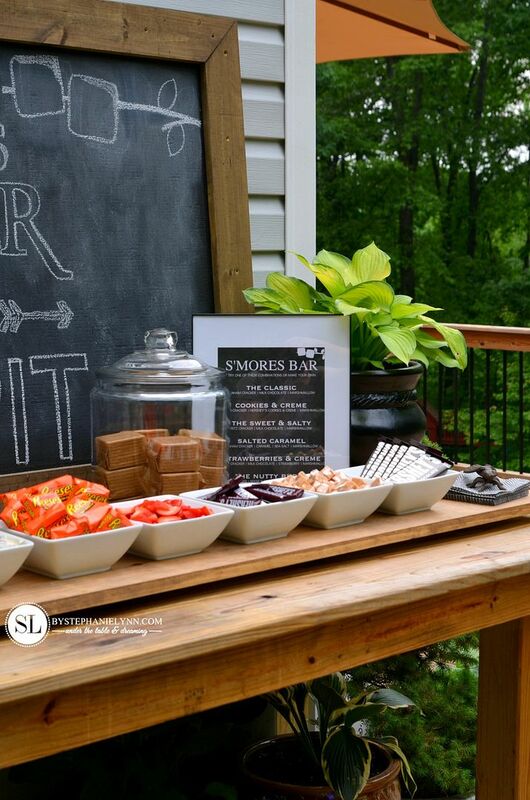 Setting up a S’mores Bar Party Table is simple and a quick solution for any summertime get-together. 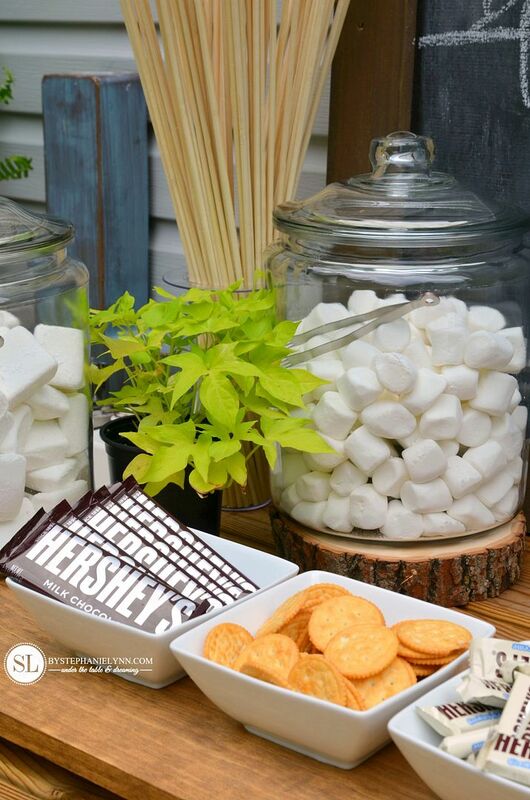 Below are some easy display ideas for care-free entertaining and printables showcasing some of our favorite s’mores combinations. 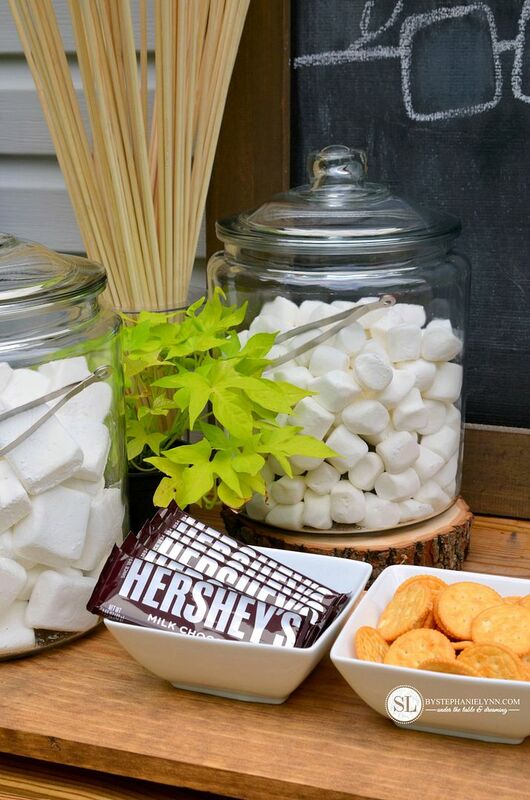 The only prep really involved in setting up a s’more bar party table is coming up with a fun display. A majority of the basic ingredients can simply be left in their original packaging – which means all of the prep work can be completed in advance and ready to go when the fire begins. 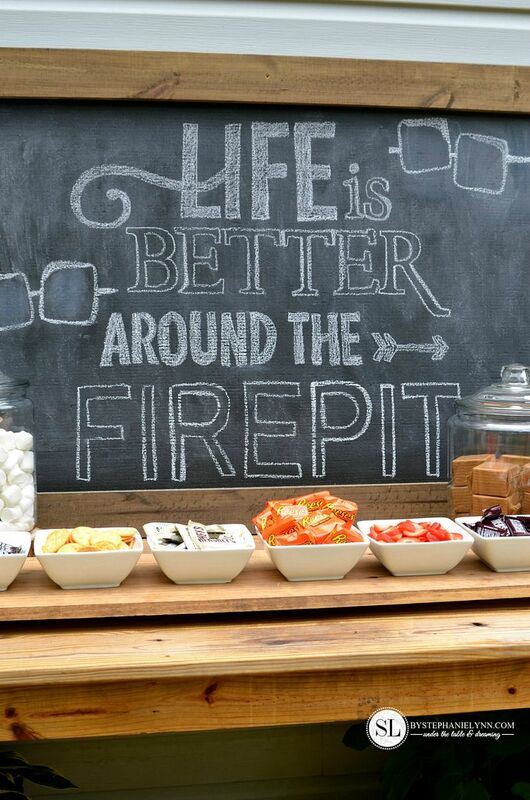 All of the toppings for our s’mores bar were found in one quick trip to our local Walmart. The toppings can be displayed in something as simple as plain white bowls, as shown above, lined up for easy access. Note: Be sure to have a receptacle close by for guests to dispose of the wrappers. 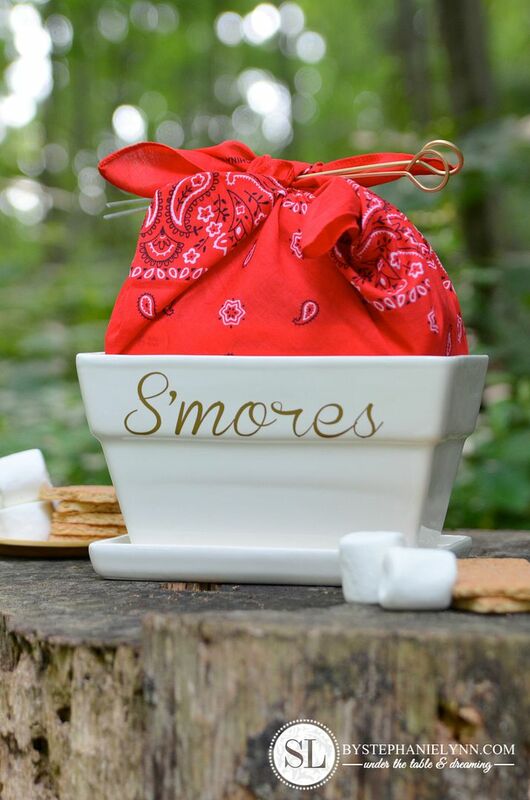 Canisters with lids are perfect for holding and displaying the marshmallows and graham crackers. Although the lids are removed once the party begins – they help keep outdoor pests at bay while on display. Note: for younger guests plastic containers or bins may be more suitable for safe self access. 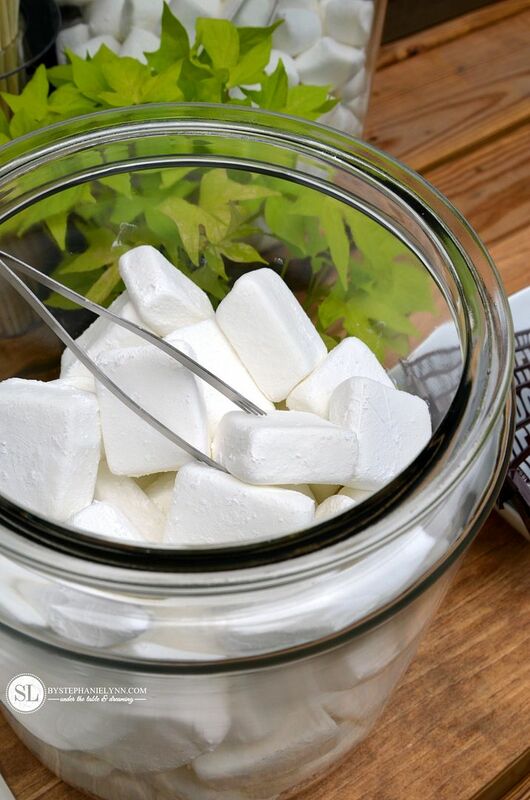 TIP: To keep the marshmallows from getting sticky I always like to toss them in a bowl with some powdered sugar – making sure each marshmallow is completely coated before placing them in a container. 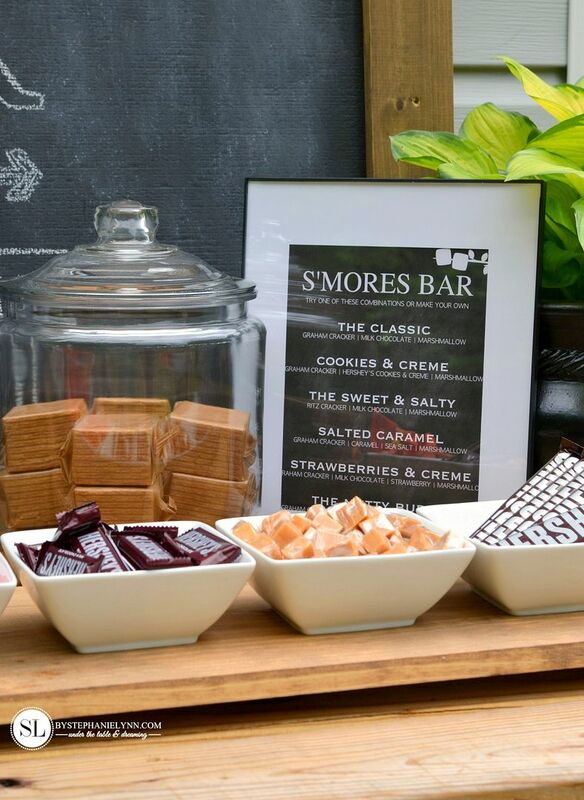 The beauty of a S’mores Bar Party is watching guests build their own unique flavor combinations. 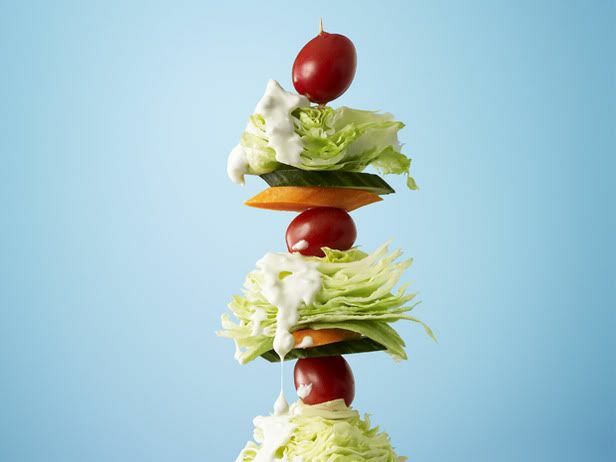 We love seeing – and tasting – what everyone is creating! 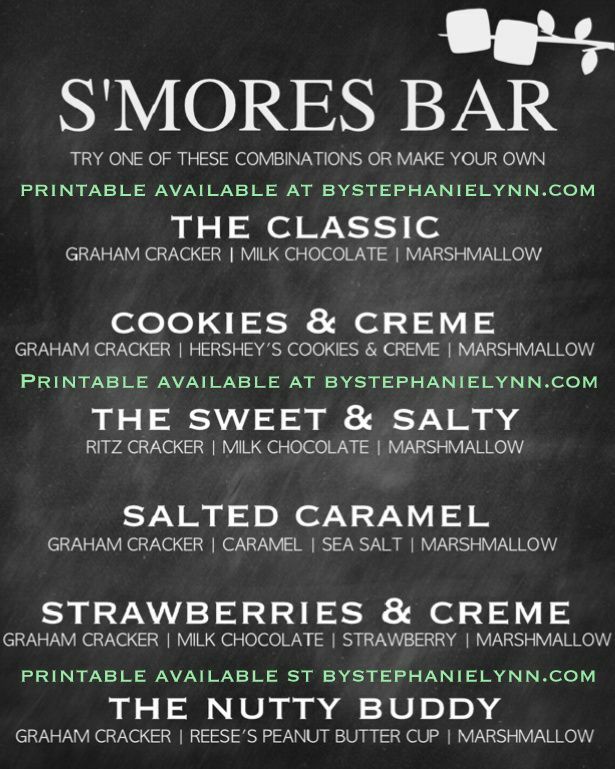 Some of our favorite s’mores combinations over the years include the recipes listed below. The printable can be found at the end of the post. 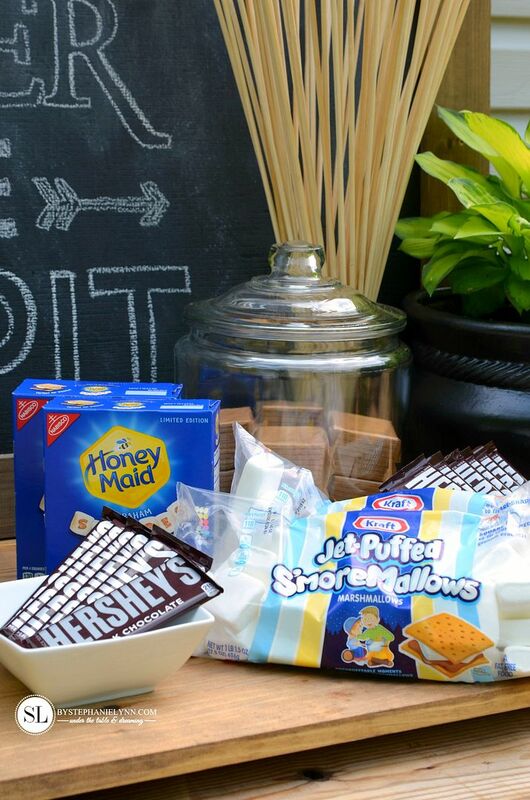 All of the ingredients for this S’mores Bar Party were picked up right at our local Walmart. Look for this special display in a store near you to get started. P.S. 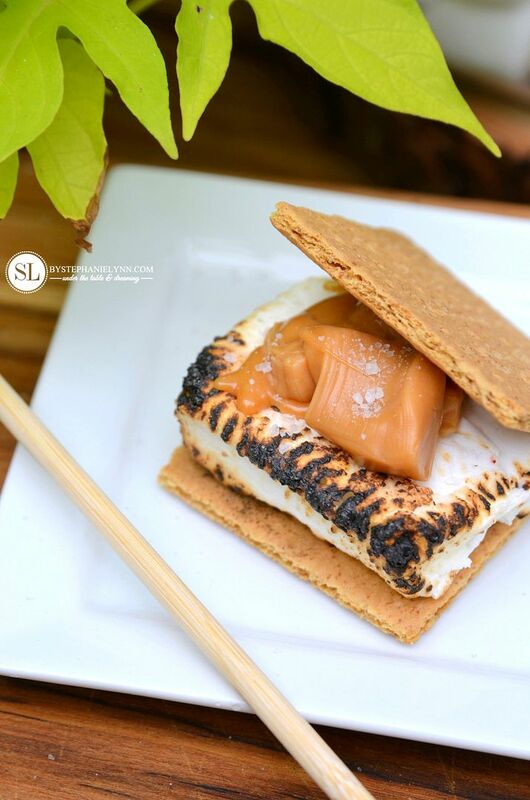 You don’t always need a campfire or fire pit to enjoy the taste of S’mores! Building your own homemade marshmallow roaster is perfect for those nights when there’s just not enough time to build an actual fire – or if you just want to snuggle up with your loved ones, indoors. 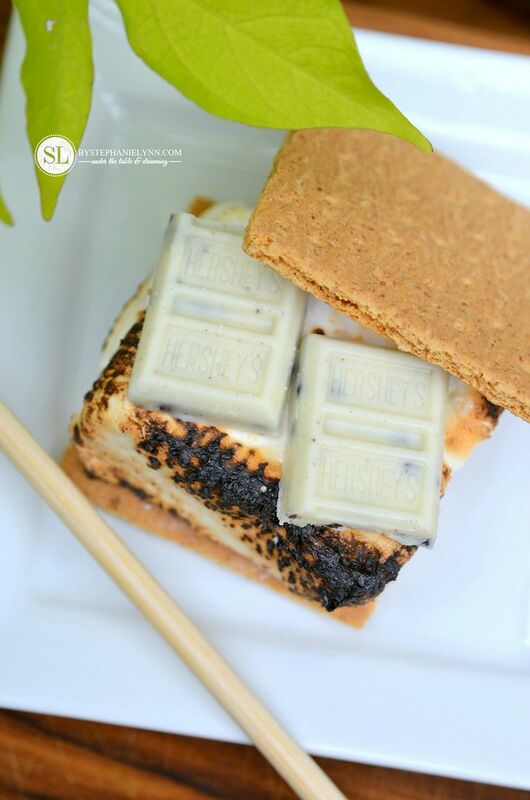 Find the easy step by step directions here: Tabletop S’mores Kit. 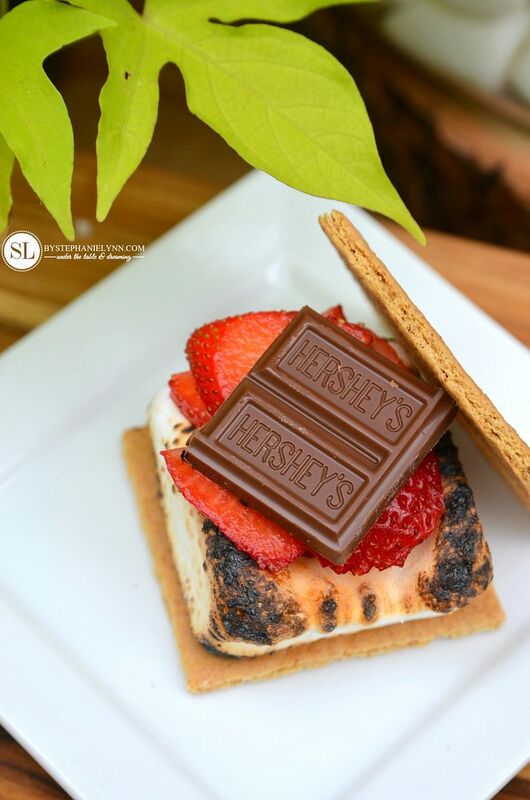 Create fun, tasty, and memorable experiences all year long with S’mores. 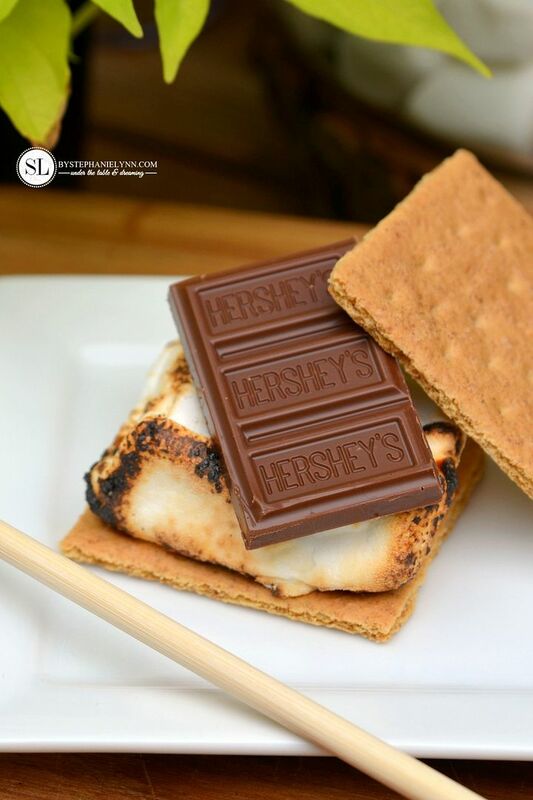 Share your favorite way to make and enjoy S’mores below! 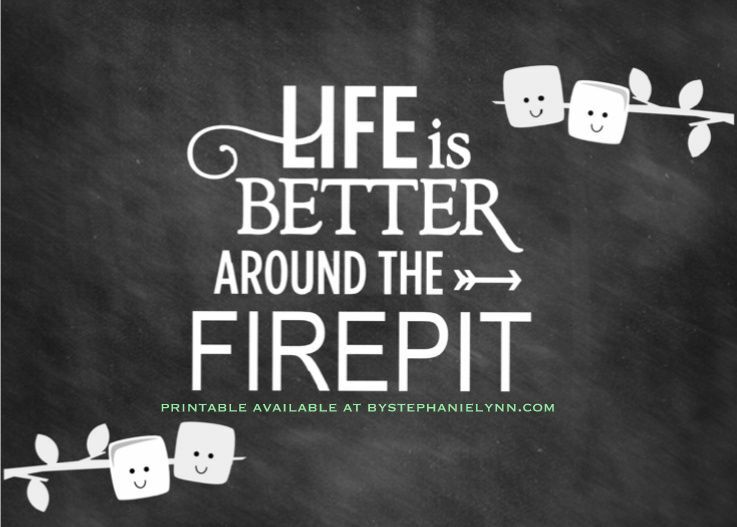 ~ Let’s Make S’mores Tonight! This is a fabulous post!!! 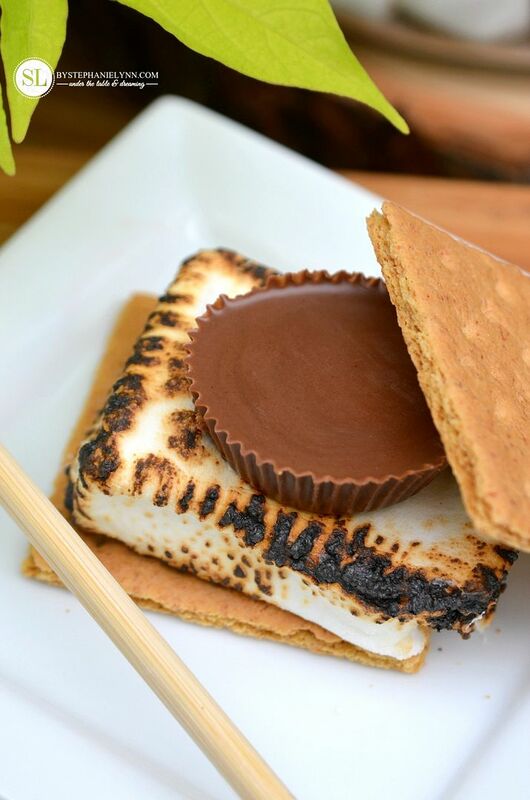 It’s the BEST S’mores post I’ve ever found!!! Thank you so much!! Wonderful post. Everything looks fab! I especially love the tip about tossing the marshmallows in powdered sugar! Thanks go sharing!! You always share the best ideas! Seriously you really do. I enjoyed reading this post so much. Your pictures are beautiful. Makes me want to stop what I’m doing and run to Walmart. Love it!! Great idea. I would love for you to come share this at my party. http://chicbytab.blogspot.ca/2015/05/chic-by-you-wednesday-linky-party-8.html. Hope to see you there! S’more Heaven!! 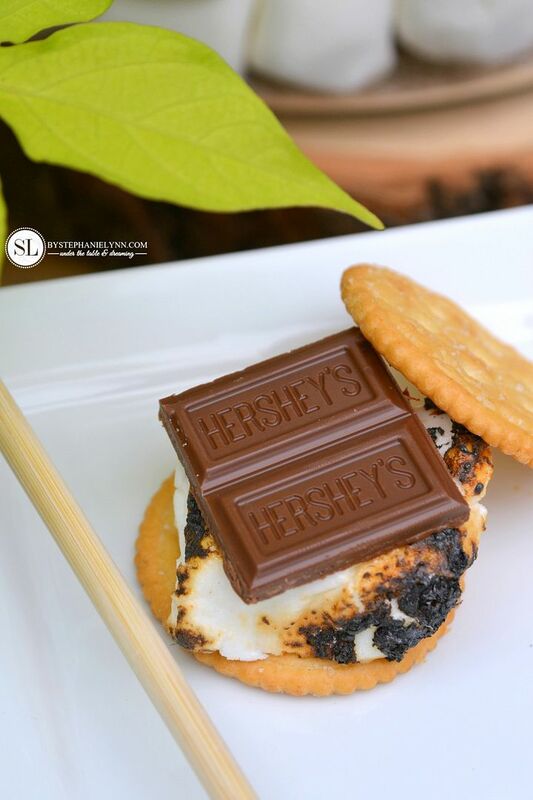 Have to agree, this is th best s’more post I have ever seen!! Fabulous job, beautiful photos!! Love this!! Can’t wait to do this for our daughter’s graduation party! The link to the S’mores Recipes printable does not seem to work though. Would love the recipe printable if available – thanks! Thanks Lynda! When you click on the link above it will take you to the download page. There is a second link you have to click on to open the pdf. 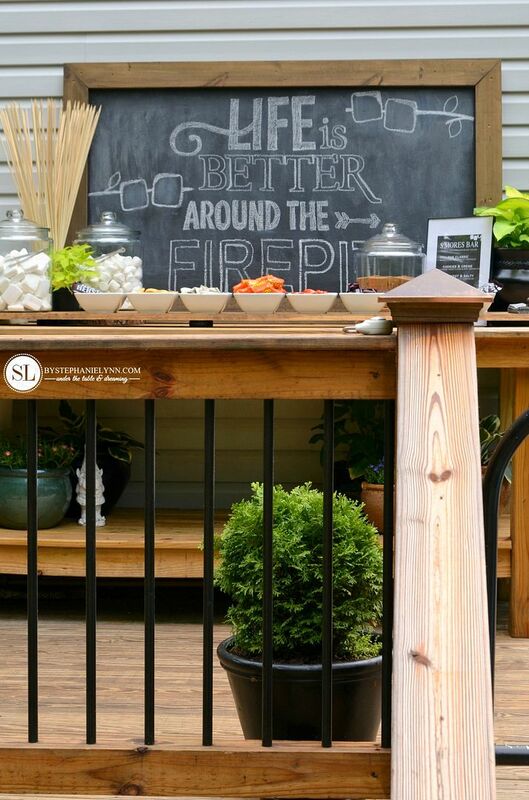 It says S’mores Bar Party Recipes. Congratulations to your daughter – Hope you have a wonderful party! 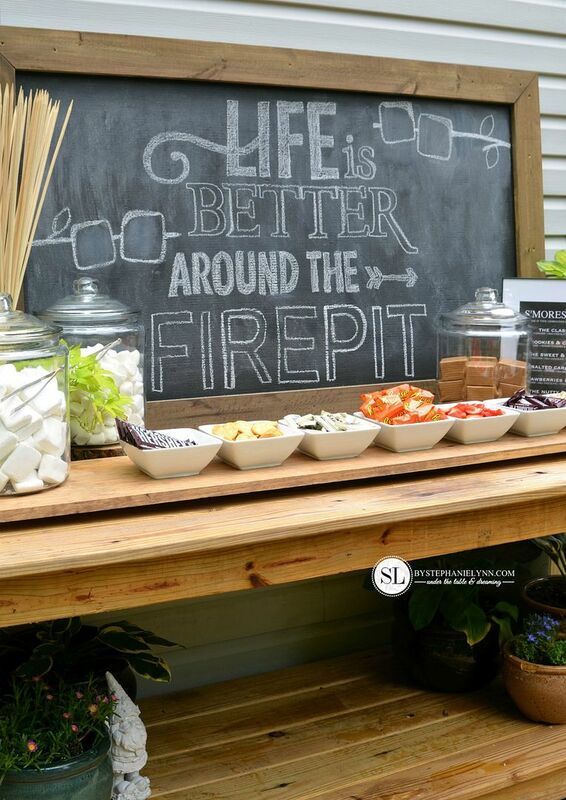 I totally agree that Life is better around the fire pit. I bet my kids will enjoy attending this little party and the chocolate and cookie looks delicious. Nice post! This is not only beautiful but it’s an awesome idea! What a great party centerpiece. Wow…just wow! This is the most incredible set up! I am SO copying your ideas the next time we plan to entertain outdoors…thank you for sharing!! Wonderful post! Helped me a lot with the decorating department for my party! Where did you get the heavy duty roasting sticks? I Love this idea!! 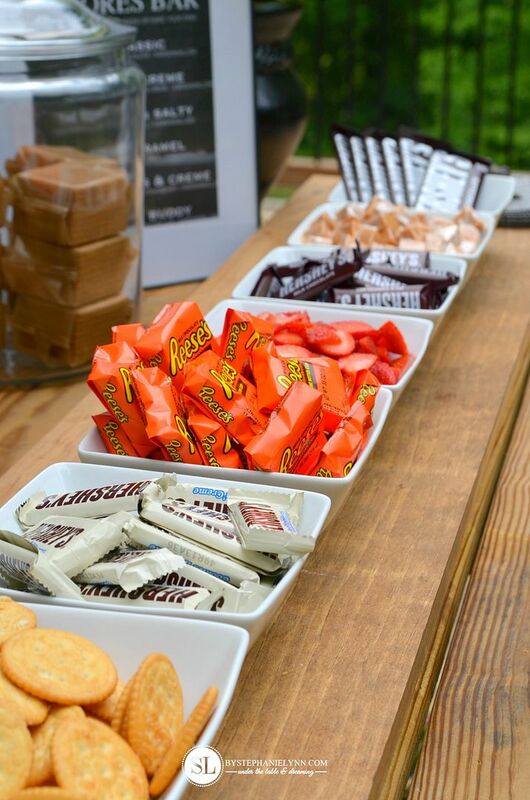 I’m having my daughter’s graduation party at the end of July.. I’m curious how you keep the chocolate from melting…. Obviously the table wont be in the sun, but its still hot in the shade most days.. Any tips would be great!! 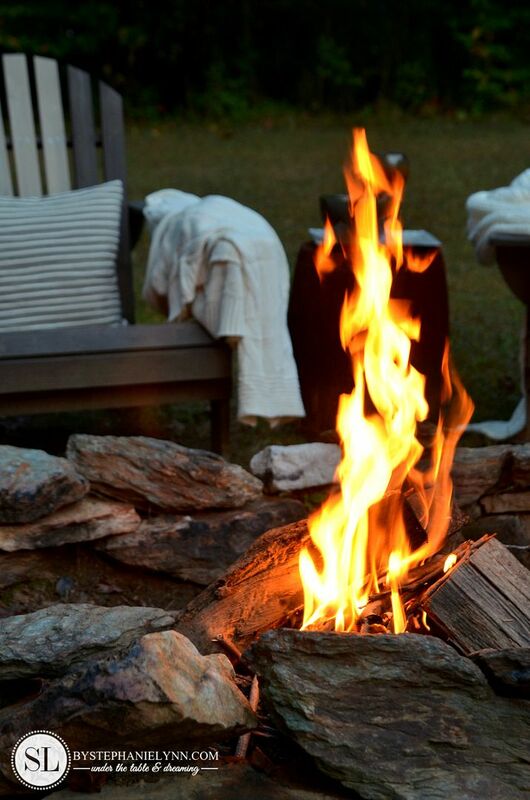 The firepit is nice during the fall, too. 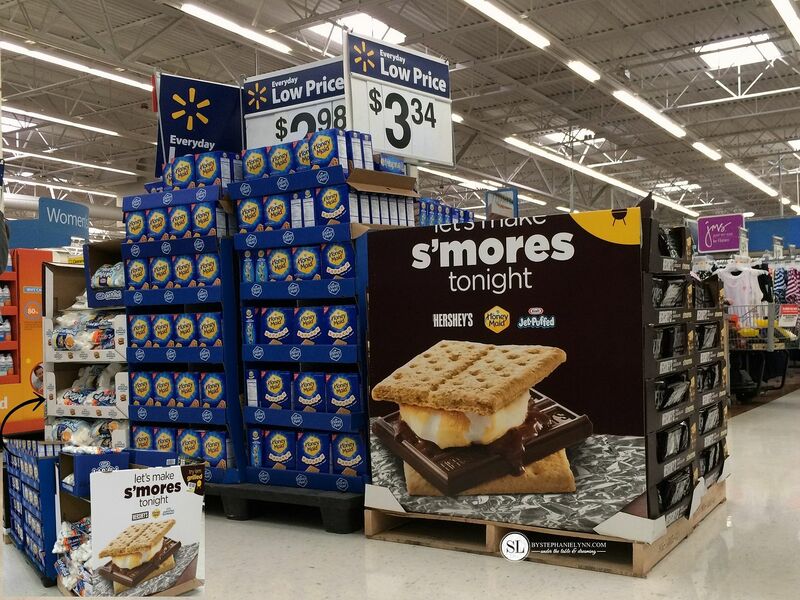 I can remember attending a party a few years ago during an October Saturday night with several s’more options. Personal favorite was a Mexican twist: dark chocolate, marshmallow, toasted pumpkin seeds, and a dash of cayenne pepper, on cinnamon grahams.